I’m so excited today to share Emily & Nathan’s wedding at Ritter Farms in Cle Elum, Washington! Before the wedding I’ll admit, I did panic inside just a little when I learned how many photographers were in the bridal party (including the bride) but they were all so incredibly sweet, kind and full of compliments from the moment I met them at the rehearsal. Emily has some pretty amazingly awesome photographer friends! Ritter Farms is nestled in the foothills of the Cascade Mountains and is surrounded by beautiful scenery. The perfect place for a farm-to-table tuscan style wedding! The day was overflowing with gorgeous details, dear friends & family and delicious food! The ceremony was in an open field with the most amazing rustic timber barn and a forest of fir trees as the backdrop. Shades of wine, charcoal gray and artichoke were spread throughout the day and the reception felt like you stepped into a Tuscan family gathering. Emily loves to cook and incorporated a farm-to table theme. Inside the timber barn, fresh vegetables streamed down the center of the farm style dark wood tables and the cutest vegetable place card holders were carefully placed at each setting. Little corners and nooks filled with fresh lemonade and an abundance of vegetables were everywhere. They served fresh strawberry and spinach salad tossed with candied almonds, crumbled feta and a tuscan balsamic vinaigrette, delicious Italian roasted chicken dinner with a fresh lemon and rosemary reduction. Dinner was complimented by sides of baby red potatoes roasted with tuscan herbs, grilled seasonal vegetables and rustic breads with garlic and herbs. Is your mouth watering yet? To finish it all off they had the most delicious triple berry pie with a crumbled streusel topping and warmed apple pie with local apples. Emily and Nathan first met casually when he was over visiting her older brother. Nothing really came of them meeting each other until years later when she went out on a limb and invited him to her brother’s rehearsal dinner. Emily admits that it seemed completely irrational but she decided to do it anyways. 🙂 She didn’t hear back from Nathan and assumed that he wasn’t coming. The night of May 24th, 2014 while driving to the rehearsal dinner, Emily prayed specifically that if Nathan was meant to be there, he would be. If he was there, he’d be standing exactly in the front of the restaurant, all alone. Believe it or not when she pulled into the parking lot he was standing there and he was the only one one standing there. Emily was stunned and could hardly believe that God had just answered a prayer right before her very eyes. They continued to talk over the phone every night after going back to their homes which were several hours apart. They talked for at least an hour and half each time, I guess you could say they were becoming pretty good friends. Over the next several months they continued talk over the phone for hours on end and make quick weekend trips to spend time together. It was so obvious they were head over heels for one another and the coolest part is that God was right in the middle of it all. Soon enough Nathan bought a ring and on December 29th while visiting Emily’s family he planned a pretty epic “geocaching” adventure. Nathan proposed at Alta Lake, Emily said yes and so the wedding planing commenced! You have to read her full version of the proposal on her blog! Congrats Emily & Nathan! You are two incredibly kind people and being part of your day as your photographer was an honor. I am so happy for the two of you! Watching you two interact and seeing the tremendous love your families have for you both was such a joy to photograph. Wishing you both only God’s very best as you begin your story as Mr. & Mrs. Nathan Moller. Also, a little shout out to Sabrina Nohling for being an awesome second shooter! Thank you!! 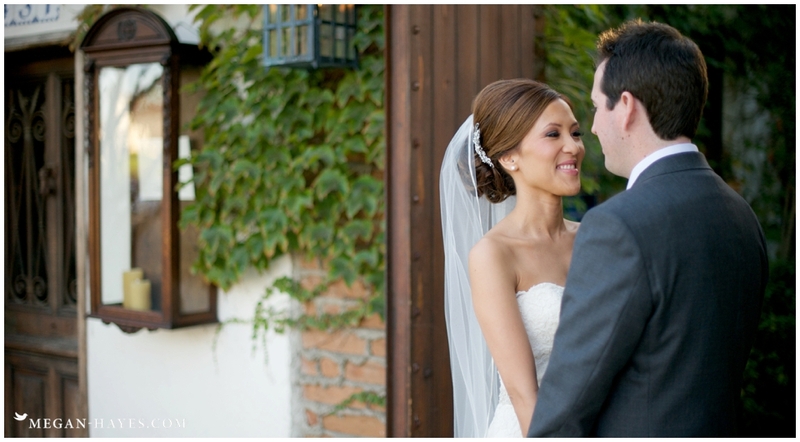 I love Koy & Michael’s gorgeous wedding that I shot with Brett Hickman Photographers at The Villa San Juan Capistrano. So much rustic charm at this venue! It had me swooning for sure! During the 1930s, itinerant workers lived in the house while harvesting walnuts, citrus, and other crops. It has since been extensively renovated but still has a lot of the original construction of the building including the floorboards, wallboard and porch. Walking around the property is quite magical if you enjoy that kind of history which in my opinion is what makes it such a gorgeous wedding venue. The Wedding & Event Design Studio: New Meeting Space! I have a new meeting space/studio!!! Beyond excited to share and announce the new Wedding & Event Design Studio where several wedding vendors in the Santa Clarita and Valencia have teamed up to share a new studio and client meeting space! 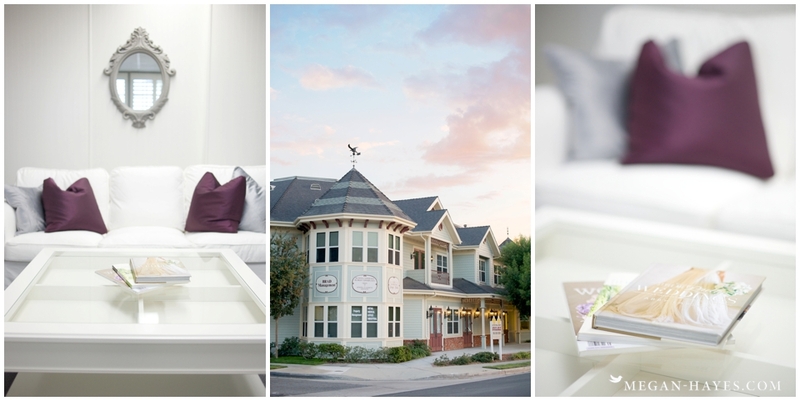 Our cute little space is located in the beautiful victorian style Tanner Building in Old Town Newhall. Just minutes away from my favorite cafe, Eat Real Cafe. I may need an intervention to keep myself from stopping in that place every time I drive by. In the past I’ve met with clients in my cute little living room and I loved having clients in my home but having a separate space for my business was always on the back of my mind. Tricia, whom is THE brilliant behind Tricia Dahlgren Wedding Consulting & Event Coordinating, emailed me back in April to see if I might be interested in a shared meeting space. While I had to think about it a little because I loved having clients come to my home I decided quickly that it was such a perfect opportunity. So excited to talk wedding details, have lots of laughs and cry happy tears while viewing photographs of beautiful memories in the new studio space.